Cricinfo Profiles: taken from here. No-one since Bradman has built massive scores as often and as fast as Lara in his pomp. Even his stance was thrilling - the bat raised high in the air, the weight poised on a bent front knee, the eyes low and level. Then the guillotine would fall, sending the ball flashing to the boundary. In the space of two months in 1994, Lara's 375 and 501 not out broke world records for the highest Test and first-class scores, but sudden fame turned him into a confused and contradictory figure. During an inventive but largely fruitless spell as captain of a fading team, Lara reiterated his genius by single-handedly defying the 1998-99 Australian tourists with a sequence of 213, 8, 153 not out and 100. For a while, excess weight and hamstring problems hampered his once-lightning footwork, and the torrent of runs became an occasional spurt. But after Garry Sobers suggested a tweak to his flourishing backlift, Lara returned to his best in Sri Lanka in 2001-02, with 221 and 130 in one Test and 688 runs - a record 42% of West Indies' output - in the series, and reclaimed the captaincy the following year. The task proved as hard second time round, leading a side where he was far and away the best player and where discipline was a constant worry. He led them to defeat for a second time in South Africa, and then lost to England in the Caribbean, too. But then, just when all hope seemed to have deserted West Indies cricket, Lara responded to the prospect of a home series whitewash with an astonishing unbeaten 400 in the final Test against England in Antigua. In doing so, he became the first man to reclaim the world Test batting record, a feat that ensured he would stand alongside Shane Warne as the most charismatic cricketer of the modern era. Then followed a spectacular low, when Bangladesh came visiting and had West Indies in trouble in the one-day series and the first Test, prompting Lara to threaten his resignation if his batsmen did not lift their game. They responded in the following game, and Lara captained the side in England, where the team was beaten in every Test they played. Astonishingly, he then galvanised his charges and led the one-day team to victory in the ICC Champions Trophy to spark off hopes of a West Indies resurgence. Tremendously gifted, Brian Lara remains one of the most exciting players in the world. He holds the world record for the highest Test and first-class score, 375 and 501 respectively. Despite this, many will look back on Lara's career with a hint of disappointment. On form and on song he is irresistible, but he is susceptible to losing form, confidence and application. Left-handers generally look elegant, and Lara is no exception. A short man, he has a slightly squat stance, an exaggerated, open backlift and lightning feet. In defence, he is studious yet stylish, and his aggressive shots are played with a dismissive flourish. Ruthless through the covers, Lara is able to destroy any bowling attack. His build is not that of a big hitter, but he is keen to take on the spinners and hit over the top with ferocity and power. He is also a fine, solid slip catcher. Unsurprisingly, Lara scored heavily as a youngster. Encouraged by his father Bunty, who would die before his son played a Test match, Lara was given professional coaching. He excelled for his college, and had his first taste of first-class cricket as a teenager. In his second game for Trinidad, he fell just short of a century against a Barbados attack containing Joel Garner and Malcolm Marshall. 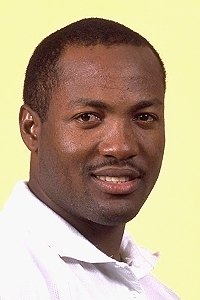 Lara first toured with the full West Indies side in 1990/91. He played one Test and one ODI on the tour to Pakistan, scoring 44 in his first Test innings. He toured England in 1991, but a strong batting line-up kept him out of the side. Lara broke into the Test team again in West Indies home Test against South Africa. He made 64 in the second innings. He had already established himself in the one-day side, hitting several half centuries in the World Cup. 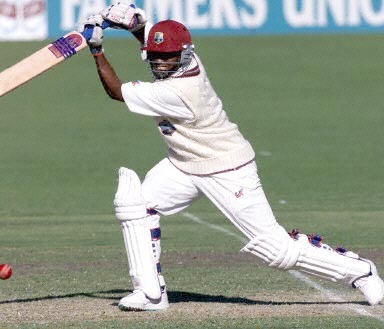 Until West Indies' 1992/93 tour to Australia, Lara was simply a promising young batsman. The series, which West Indies won 2-1, made a star of the Trinidadian. He had made two half centuries in the first two matches, then struck his first Test century, 277 in the drawn Sydney Test. In one-day cricket, he hit three centuries in five innings. England toured the West Indies early in 1994, and Lara was keen to show the world that his Sydney innings was not unique. He made 83 in the first Test, 167 in the third, but saved the best for the vociferous Antiguan crowd. On a flat track, he steadied the innings after early losses, then dominated the England attack. Lara cruised past 300, and passed Gary Sobers' 365 with a contemptuous pull through square leg. Sobers was on the ground, and made his way through the crowd to congratulate the left-hander. West Indies cricket had a new star. From Trinidad, Lara found a temporary home in Birmingham. Signed by Warwickshire, the West Indian was an immediate success. He reeled off centuries with ease, peaking with a stunning eight-hour 501 against Durham. In just six months, Lara had become cricket's hottest property. While his Test form remained consistent if not spectacular, his one-day cricket was littered with big scores. 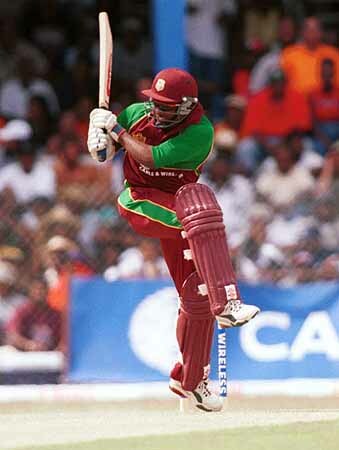 Returning to England with the West Indies in 1995, his career was given a kick start. He struck three centuries in four innings at the end of the drawn series. 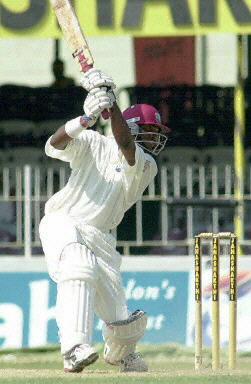 Lara made a match winning century in the 1996 World Cup, his spectacular one-day batting more consistent than his Test batting. By 1998, after some terrible away performances, Lara was appointed captain of the West Indies. It was a job he had been groomed for - he captained the West Indies at youth level, and was the youngest-ever skipper of Trinidad aged 20. His first series was a successful one for the team, who beat England 3-1, though he did not hit a century. If some were beginning to wonder about Lara's commitment to cricket, his 1998 return to Warwickshire added fuel to the fire. He made three centuries and scored 1,000 runs - a successful year for most. But he won no popularity contests. The Warwickshire members had been spoiled by Allan Donald's professionalism and Lara's exuberance in 1994. It was not lack of talent, but an apparent lack of application which infuriated the Edgbaston faithful. Comparatively bad form followed Lara to South Africa, where his brief cameos could not prevent a 5-0 trouncing. The future looked bleak, with a rampant Australia determined to dish out similar punishment to Lara's side. The team seemed to lack direction, and was skittled for 51 in the first Test. Somehow, Lara's brilliance rescued the series. He hit a double century in Jamaica, batting an entire day with Jimmy Adams as West Indies got back into the match. He followed it up with an unbeaten 153 as West Indies won an exhilarating Barbados Test by one wicket. In the final Test, which was lost, he hit a first-innings century at better than a run-a-ball. A batsman always at his best in tough situations, Lara's duels with Glenn McGrath, Shane Warne and Stuart MacGill were exhilarating. The following season, West Indies' woeful away form continued. They lost all seven international matches in New Zealand, and 4-1 in Toronto in a one-day series with India. Following the New Zealand tour, Lara quit the captaincy. His form had fallen away dramatically and had had a poor World Cup. After he said that he needed a break from cricket, many thought this would be the end of a special talent. Lara missed West Indies' series with Zimbabwe and Pakistan, but did tour England with Jimmy Adams as captain. He had a disappointing summer, scoring one century, and followed it with an average series in Australia, scoring 182 at Adelaide, but unable to prevent a 5-0 trouncing. A string of half centuries against South Africa furthered the claim that he was falling back on individual cameos at the expense of the team. But Lara's performance in the 2001 tour to Sri Lanka was staggering. Once more back to his best - apparently after a chat with Sir Gary Sobers - Lara dominated the Sri Lankan attack which was, in turn, dominating the rest of the West Indies order. He made three centuries, (178, 221 and 130) scoring almost half of the team's runs. A collision with Marvyn Attapattu ended Lara's tour. He had broken his elbow, and would miss West Indies' matches with Pakistan. Despite the peaks and troughs, Lara is still enjoying a fine career. The comparison with Sachin Tendulkar is often made, and most experts would concede that Sachin is the better batsman. But there can be few sights more thrilling in cricket than Brian Charles Lara in full flow, and one can only hope that this latest rejuvenation of his career lasts several more years.